8th Global Experts Meeting on Advances in Neurology and Neuropsychiatry is a unique forum to bring together worldwide distinguished academics in the field of Psychology and Psychiatry, Psychiatry researchers, public health professionals, scientists, academic scientists, industry researchers, scholars to exchange about state of the art research and technologies. The Conference will feature many exciting academic programs including multiple panels, workshops, affinity group lunches, paper presentations, and scientific sessions by reputed psychiatrists from all over the country. The goal of this conference is generate new ideas for treatment that will be beneficial across the spectrum of various neuropsychiatric disorders. 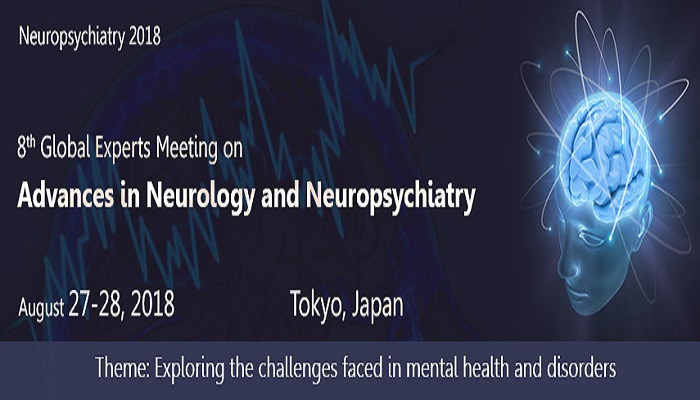 We endeavor to make 8th Global Experts Meeting on Advances in Neurology and Neuropsychiatry a success, with your support and high quality talks from Neurological as well as Psychological committees. We assure you that you will experience world class facilities and hospitality throughout the conference session.